Christmas might just have come early. Offering a shortcut to his photographer-baiting style, model, photographer and shoe designer Johannes Huebl has curated a winter wishlist from items found on Amazon Fashion. It includes this smart but rugged denim shirt from London’s own Pepe Jeans. Available at Amazon Fashion, priced £45. We wouldn’t normally advise wearing pants on your head, unless of course it’s in the form of a collaboration between Sunspel and French hat brand LaRose. The pair’s five-panel cap is made using vintage wool developed from an archive sample of the iconic British brand’s underwear. 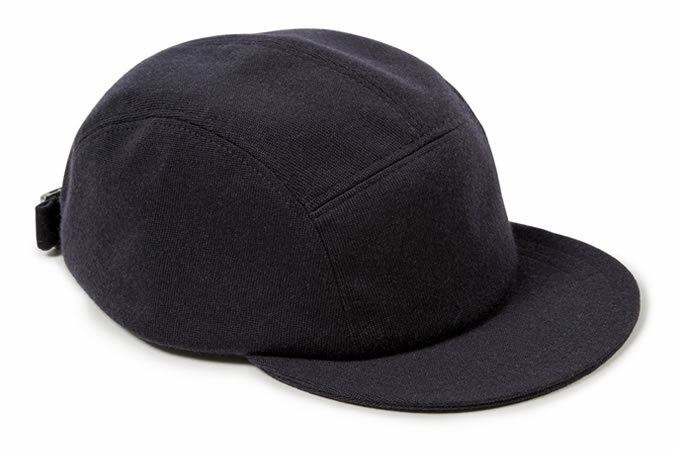 Available at Sunspel, priced £125. Want to get ahead of the game? New Look has pulled together a 10-piece SS17 capsule collection, giving a sneak peak of what’s to come next year. Spoiler: We’re not all about to become wallflowers. This animal print shirt sits alongside floral bomber jackets and bold track tops. For now, layer it under a cardigan. Available at New Look, priced £17.99. Chances are there’ll be at least a two-day block between Christmas and New Year when you’ll stay inside eating leftovers. Lounge in style with this matching tracksuit from Boohoo Man. The white and red stripe detail adds a collegiate appeal while the overall blue colourway will look great regardless of how much cranberry sauce it has down it. Available at Boohoo Man, priced £30. David Beckham revealed his latest sartorial venture this week, working to revive Savile Row brand Kent & Curwen. Founded in 1926, the London-based label has a storied heritage in sport, creating the iconic cricket sweater and owning the rights to the Three Lions logo. It makes sense, then, that this soft cotton-jersey polo shirt is based on traditional rugby styles. Available at Mr Porter, priced £200. No we haven’t lost our marbles (although in temperatures this low they do have a tendency to disappear.) We’re already thinking about making an early escape to sunnier climes come January and one of the first things we’ll be packing is a pair of shorts from swimwear brand Boardies. Available at Selfridges, priced £45. Drake’s has pedaled its trade as purveyors of some of the world’s best ties and scarves for almost four decades. Now the legendary London brand is cementing its fashion credentials with the launch of its first ever range of British-made denim. Available at Drake’s, priced £195. The closest thing you can get to climbing inside an actual animal without going all Bear Grylls. River Island’s limited edition longline parka is fully lined with cosy faux fur and features extra padding for added warmth. It’s a stylish and reliable piece you’ll call on season after season. Available at River Island, priced £150.